Earlier last year, I was presented with an amazing opportunity by a colleague from another school. 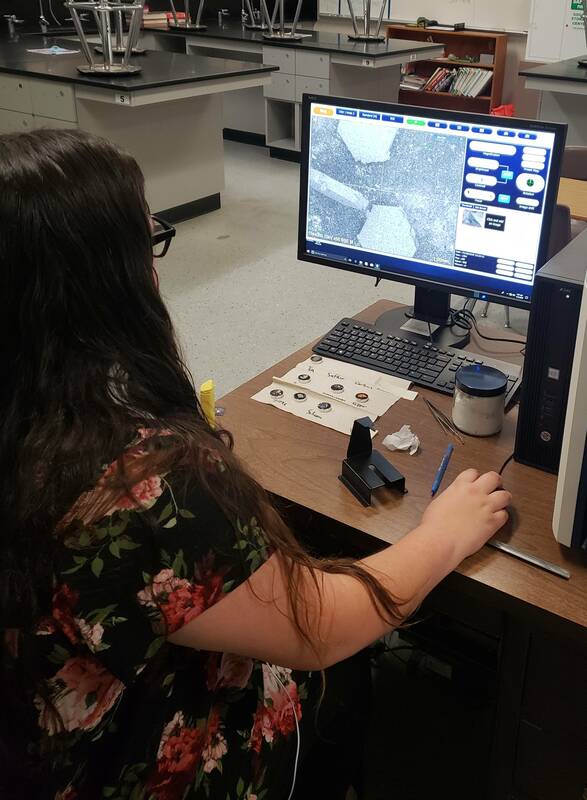 She was looking for schools who would be interested in partnering with Hitachi through their Inspire STEM Education program to receive a two-week loan on a Tabletop Scanning Electron Microscope (SEM). 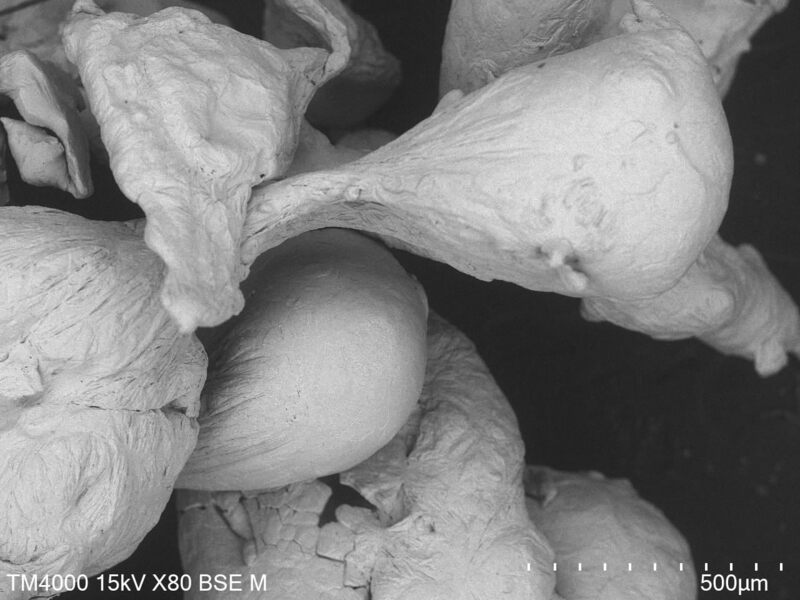 An SEM is a very powerful instrument that utilizes electrons to scan a surface and reflect an image at up to 100,000 times magnification at great clarity. Our chemistry class put the SEM to use in identifying different elements based on their physical features at nano-scale. 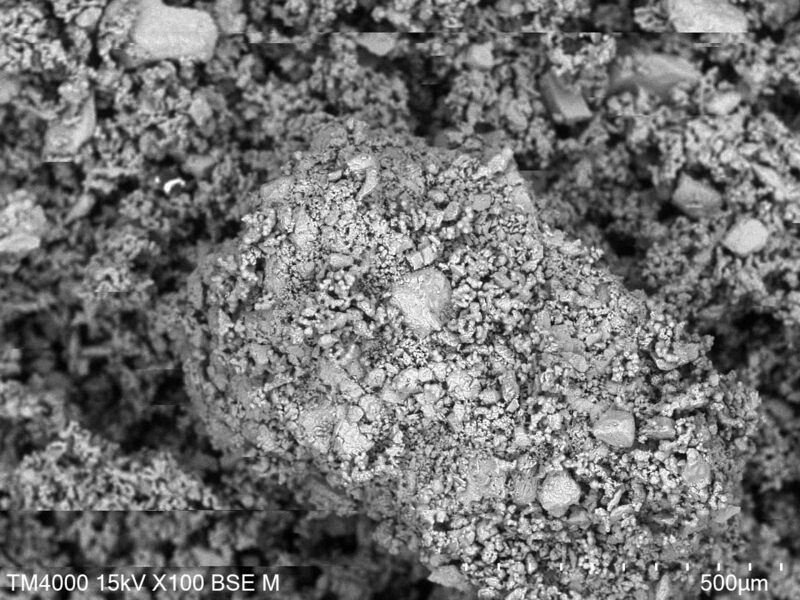 Students learned how to use the SEM and were responsible for capturing images of different elements. Students then conducted an electronic “gallery walk” of the images they captured by looking through them in class on Google Drive, identifying the images with their corresponding location on the periodic table as a metal, non metal or metalloid. Below you will see a picture of the element sulfur, a non-metal. Below that, you will see a picture of zinc, a metal. Both of these images were taken by our students! You might be wondering, how exactly do you get an instrument worth over six figures onto your campus? It turns out, the whole process was surprisingly easy! More information on how to get an SEM to your school can be found here. After receiving confirmation that the SEM was arriving, technologists from Hitachi came and set up the microscope. The user interface was easy to use and, after a couple of trials, my teaching assistants were teaching my students how to use the SEM! At the end of the two-week loan, Hitachi came to pick it up to be delivered to the next school. While students who were currently taking chemistry were able to use the SEM in class, we struggled to find a way to provide an opportunity for other students to use the SEM as well. Then, one of my students mentioned how neat it would be to be able to take pictures of items they chose on their own, outside of the structure of the chemistry assignment. That’s when we realized how to extend use of the SEM to the entire campus. That simple conversation sparked Workman High School’s first (but hopefully not last) Scanning Electron Microscope Photo Contest! Here’s how it worked: students and teachers brought in samples to be viewed under the SEM, learned how to use it, and took their own photos. Then, participants had the option to have their pictures put into a Google Slides presentation and, during homeroom, each class voted on their favorite image collected by both a teacher and student. 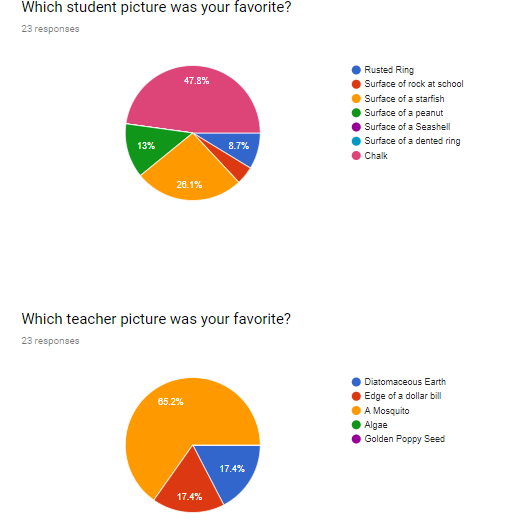 The results were collected via Google Forms and listed below. As a teacher, this was one of the most rewarding opportunities I have had. 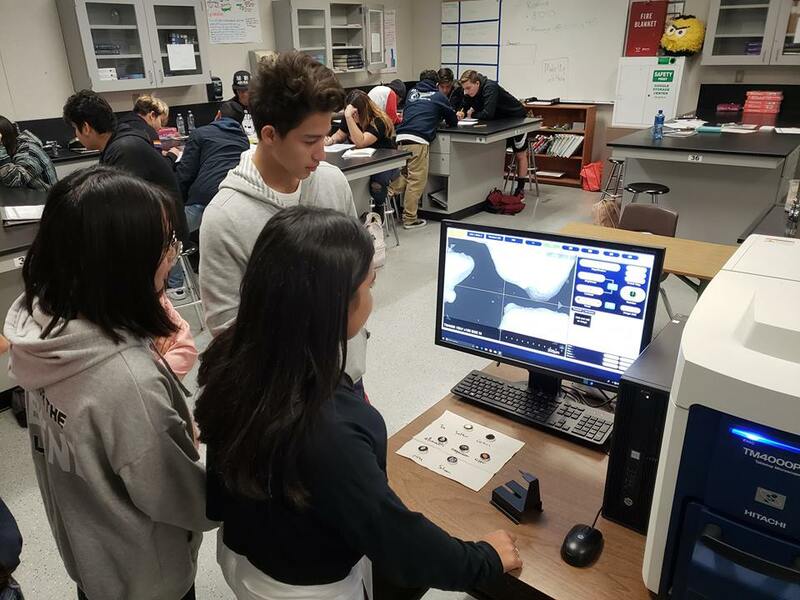 Science is not exactly the first thing people think of when Workman High School comes to mind, but while hosting the photo contest students came in before school and during lunch to use the microscope. Students even stopped me on campus to ask questions about the SEM. The excitement from a such a wide range of students, including those not directly involved in chemistry, made setting up a school-wide competition more than worth it. One student brought in a rusted “diamond” ring he had found on the floor. When his image was completed, both he and I stood in wonder realizing that the material of the ring had the same physical structure as the “diamond” in the ring! Another student brought in some glitter to see what it looked like under the microscope. She stared at me incredulously when, after teaching her how to use the instrument, I told her that she could operate the SEM on her own. After completing her first reading and realizing how simple it was to operate the SEM, she eagerly asked me if she could sample a second item. The image from the second item, chalk, ended up being the winning student photo! Having students develop an “I wonder” moment organically, and then providing them a tool that can not only answer their question but can lead to more “I wonder” moments is what science is all about. What I thought would be a neat opportunity for my chemistry students turned into a school-wide activity in which every student, regardless if they used the SEM or not, was exposed to what an SEM is and to the work their peers did using it.